The Building Designers Association of Victoria (BDAV) has revamped its 10-Star Sustainable Design Challenge. 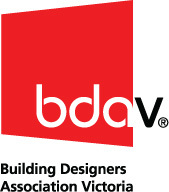 The BDAV 10-Star Sustainable Design Challenge is a fantastic opportunity to allow entrants to demonstrate their design skills and industry knowledge to a wider audience. The challenge is to prepare a residential design across any climate zone in Australia in either single and/or multi-residential category(s) and achieve a NatHERS 10 Star energy rating. Entry is open to BDAV assessors only, and any of the currently accredited NatHERS software (AccuRate, BERS Pro, FirstRate5) may be used to confirm performance. The winners in both categories will be announced at the BDAV's CPD seminar in February 2017, to be held in conjunction with the Sustainable Living Festival (details to be confirmed closer to that date). For more information visit the BDAV website.